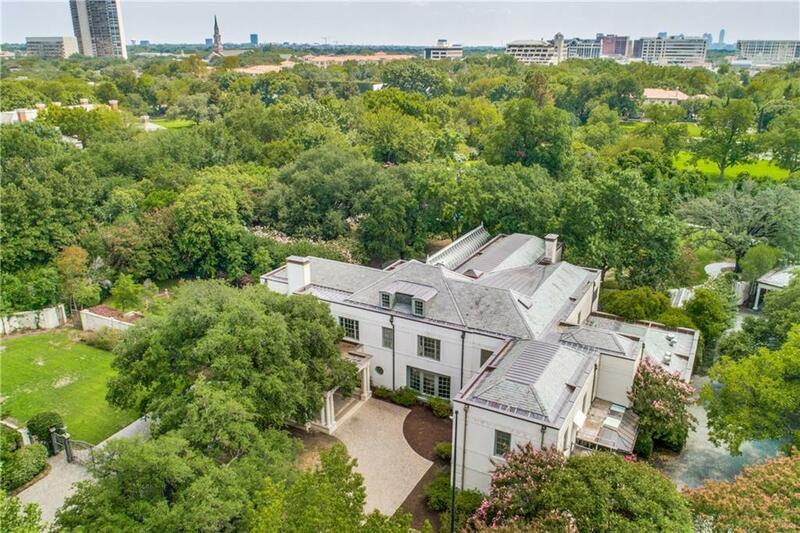 Rare opportunity to own one of the most prominent estates in Preston Hollow. This landmark property is sited on 2.536 gated Acres that comprises of approximately 11, 394 square foot main house with four en-suite bedrooms of which two are master suites, five full baths and three half baths, five living spaces, three fireplaces, commercial scale kitchen, butler pantry, pool house with indoor lap pool, tennis court, guest house and five car garage. This stately home exemplifies timeless elegance showcasing the finest quality materials, craftsmanship and exquisite finishes. Architectural details and tasteful refinements suggest quality, yet the house features every amenity with grandly scaled rooms.